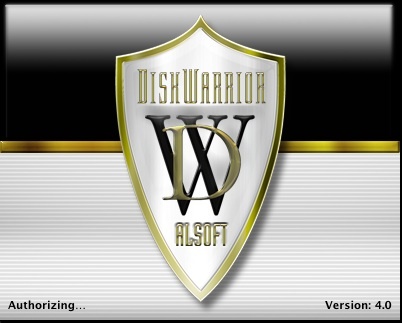 As I reported last week after talking to the Alsoft people at Macworld, the new version of Disk Warrior is out at 4.1. It is Leopard compatible. The new version also fixes hardlinks which sounds to me like medicine for Time Machine. Owners of DiskWarrior 4 version 4.0 will soon be able to download a free CD updater. When available, this free updater will allow you to create a new startup CD containing the updated DiskWarrior application. Please note that the new startup CD will start up the same set of Macs as your current DiskWarrior CD. Your new CD will not start up any Mac that your current DiskWarrior CD can not.